As you are likely well aware, at least if you live in the United States, this summer has been HOT. Every night on the news the weatherman presents the entire country colored in the scorching hues of orange and red with words like sizzling and steamy written across the states. What’s more, just when you think you might get a breath of relief, it gets hotter and even more humid. While this weather is wonderful for pool goers, beach lovers, and every other water fanatic in your life, it makes turning on the oven and spending long hours in the kitchen rather unappealing. Well today I have a solution. In a mere 15 minutes and one pot of boiling water, you will have a refreshing, light and flavorful pasta dish that is over-the-top delicious. 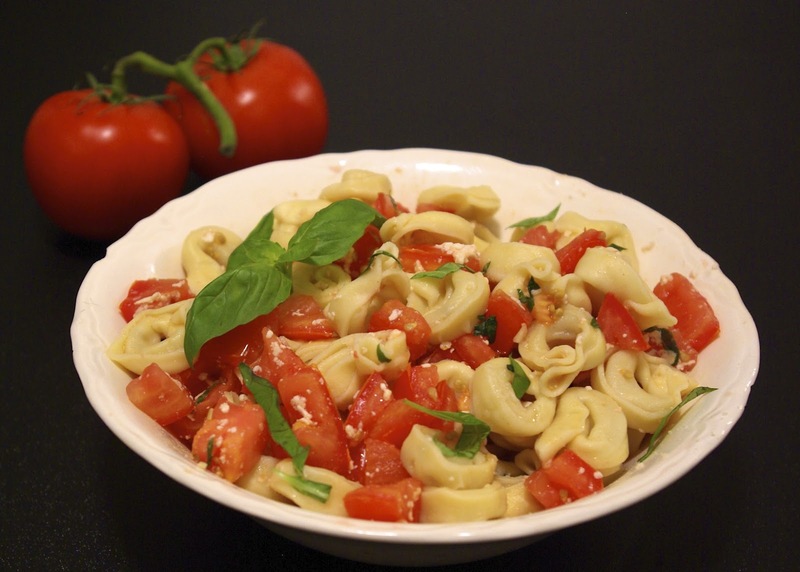 Juicy tomatoes, creamy mozzarella, fresh basil and a splash of red wine vinegar, this no-cook sauce is the perfect topper for your favorite tortellini. Serve it alongside a fresh green salad with some crusty bread to sop up the juices, and you’re eating well while staying cool. Enjoy! How are you staying cool this summer? Let me know below! Paula’s Notes: If your tomatoes are particularly juicy, you may end up with a lot of juice in your sauce. 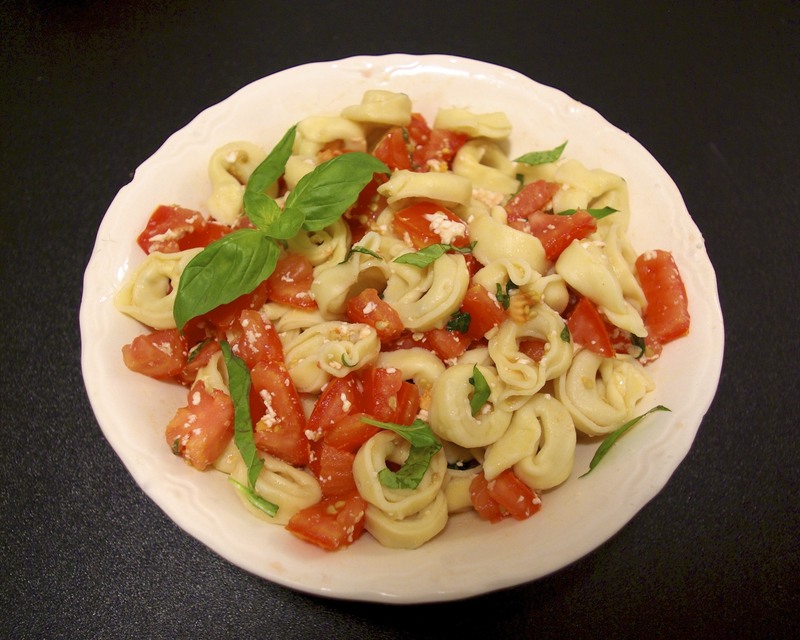 You can either combine your tortellini and sauce in your pasta pot, and allow it to simmer a few minutes so the juices evaporate slightly, or simply serve your dish with some fresh bread and soak up the flavorful juices that way – either way is great. Trader Joe’s has some great varieties if you’re looking to change up the flavors. Combine first seven ingredients in a large bowl and mix well. Add basil and mix again. Set aside for about 10 minutes. Meanwhile, bring a large pot of salted water to a boil and cook tortellini according to package instructions. Combine tomato sauce and pasta and serve immediately. If the sauce is too juicy, combine the sauce and tortellini in your pasta pot and allow the dish to simmer a few minutes, letting some of the juices evaporate.